Francesca Brady and her mother bought the car on 29 August – the day the error occurred due to an issue with a card terminal run by Cardnet. Money came out of thousands of people’s bank accounts twice but transactions only showed up once on many shop, pub and restaurant receipts. 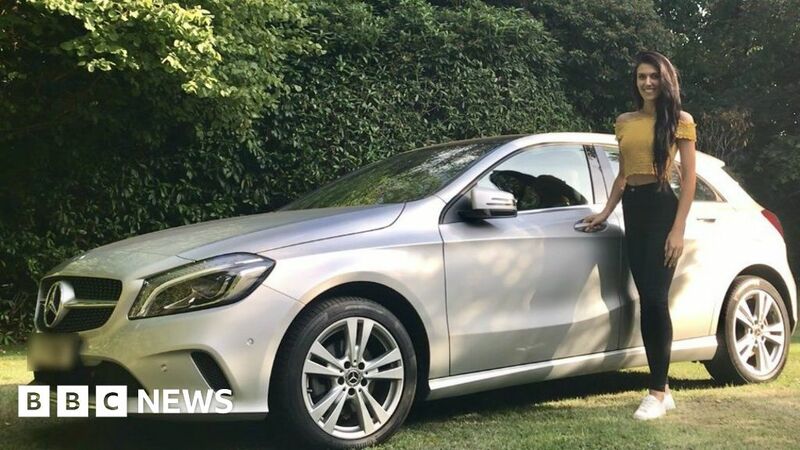 Miss Brady, 25, said she only realised about the double-charge when her mother rang from America on 31 August – two days after they had bought the car. “By the time I got all her messages and got in contact with Mercedes, the account team was closed for the weekend,” she added. “When I checked her account and noticed it had been charged twice, I completely freaked out. She said the double-charging left the account overdrawn by £16,000 – meaning it received extra charges. “Mercedes were very helpful in the end, they sent me an email on Monday saying not to worry and the money was back in the account. “They said they were more than willing to pay us for the extra charges we incurred as well. Cardnet – a joint venture between Lloyds Bank and First Data – handles more than 1.2 billion transactions every year, according to its website.